Go For An Elegant Laid Back Look Like By Getting This Smashing Purple Shade Faux Chiffon Half And Half Style Saree Featuring Contrast With Contrasting Decorative Patch Border Will Add A Sheer Elegance To Your Eid Took Looks. Comes With Un-Stitch Matching Blouse. 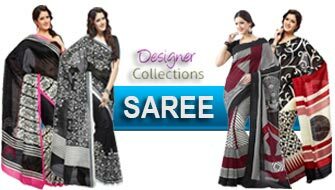 Fabrics Blouse Faux Chiffon, Unstitch Saree Faux Chiffon Patch Border, Floral Printed Wash Care Dry Clean.